The biotech unicorn, Theranos, is really worth more like $12.55 Billion based on documents uncovered by VC Experts. After joining the unicorn club with their Series C-1 round of financing in early 2014, Theranos has made headlines as the female driven biotechnology company that “promises to make it cheaper and easier for consumers to get blood tests without having to go through a doctor”. The media and the FDA have been all over the company recently for lack of quality control, and lack of actually using their proprietary product. The Media is reporting the company is worth $9 Billion. That is an understatement based on documents that VC Experts found stating their issued shares and the most recent Certificate of Designation which authorized 10,856,174 shares of Series C-3 Preferred Stock at a price of $20.00 per share. This new round of financing as mentioned at Fortune (thanks Dan Primack) could be an additional $200+ million in capital. The Certificate of Designation for Series C-3 is dated 10/12/2015 and was authorized by the Executive Committee on 9/19/2015. If all 10+ million shares that were assigned to Series C-3 were issued it throws the scorned unicorn up to a $12.55 Billion post-money valuation. The Series C-3 is part of the unusual structure of their Series C round which also includes a C-1 and C-2. The terms are congruous, being pari passu in the liquidation stack with the other C’s, participating with common after the fact, and being redeemable. 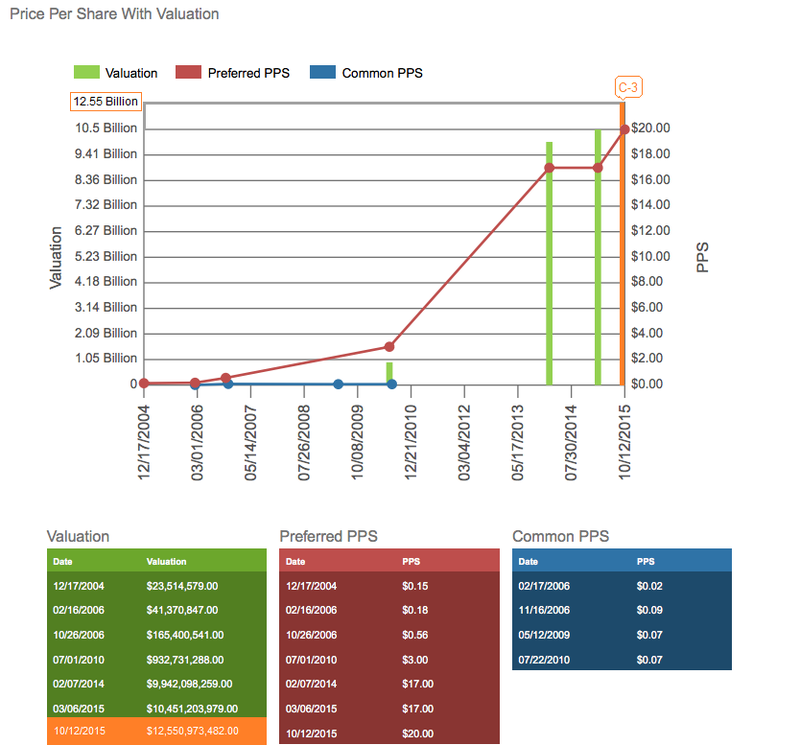 We found the documents that state the actual issued shares for their common and preferred shares, which is up-to-date as of the Series C-2 round, so we are certain the company has a valuation of at least $10.15 Billion as of 3/6/2015. With this new filing, and if all of the C-3 is spoken for, then the company seems to be valuing itself well above the $9 Billion being reported by the media. You can view all 34 State and Federal Fillings for Theranos at VC Experts. We also found 83 filings for FanDuel, we are comparing them against arch-enemy DraftKings next week. Entrepreneurs waste a lot of time soliciting professionally managed venture funds. Venture capitalists operate according to their own largely unwritten rules. In order to play the funding game, you must learn these rules. Below, I’ve listed some of the most-common mistakes. They won’t tell you everything you’ll need to know, but these simple rules should help you understand the VC process and avoid an enormous waste of time, energy, and opportunity. There are a number of alternatives structures, including general and limited partnerships, business trusts, sole proprietorships, etc. In the final analysis, the choice of entity usually comes down to an election between a corporation, whether S corporation or C corporation, and a limited liability company. The following is a summary of certain important issues.